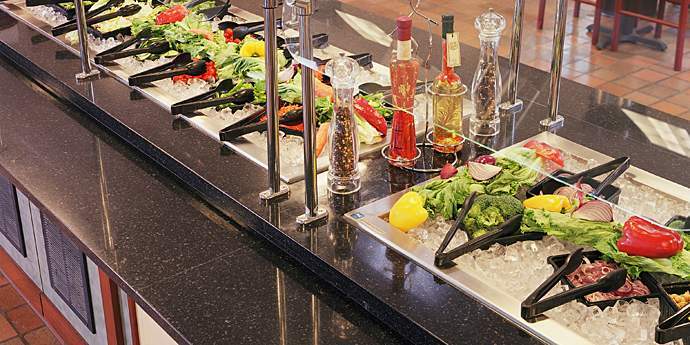 Restaurants, food service establishments and hotels know that service, food quality and ambiance are key ingredients in a pleasurable guest experience. 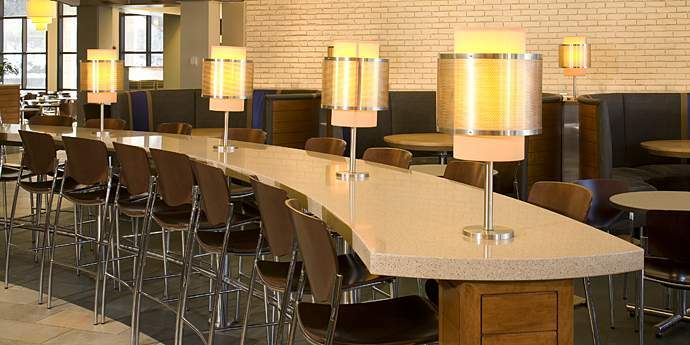 And the surface materials used can make a difference, both in creating an appealing atmosphere and in ensuring that the fresh, clean appearance lasts. 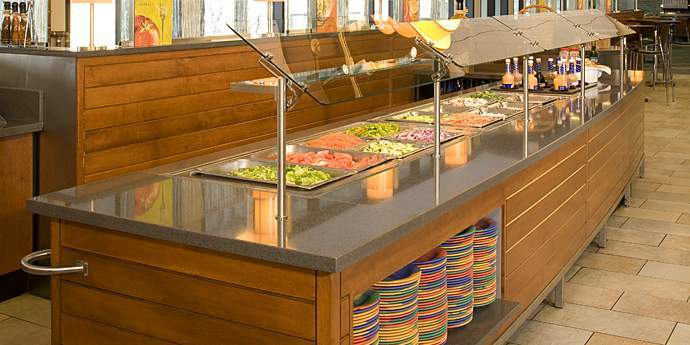 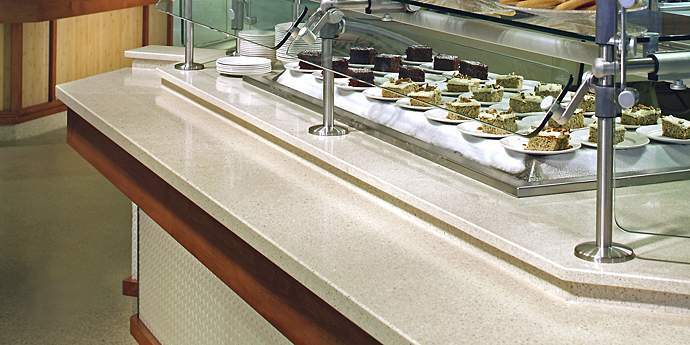 With their beauty, durability and low maintenance, solid surface materials are particularly appropriate in these hospitality applications.